Eggs are one of the most versatile ingredients in your kitchen. It lets you get food to your family in a hurry without sacrificing flavour. With carbonara, you harness the power of the egg yolk for a quick pasta fix. You can have this dish ready in the time it takes to boil water and cook pasta. The heat from the freshly cooked pasta will thicken the egg yolk in the sauce at the last moment. You'll be amazed at how something to simple and so speedy can be so tasty. Splash the olive oil into a skillet over medium heat. Add the pancetta and prosciutto, and gently sauté until crisp and brown, about 5 minutes. In a separate bowl, whisk together the mascarpone cream, eggs yolks, Parmesan and oregano. Cook the pasta in lots of boiling salted water until it is tender yet chewy – al dente – 8 to 10 minutes. Drain the pasta, saving a few splashes of starchy cooking water in the pot. 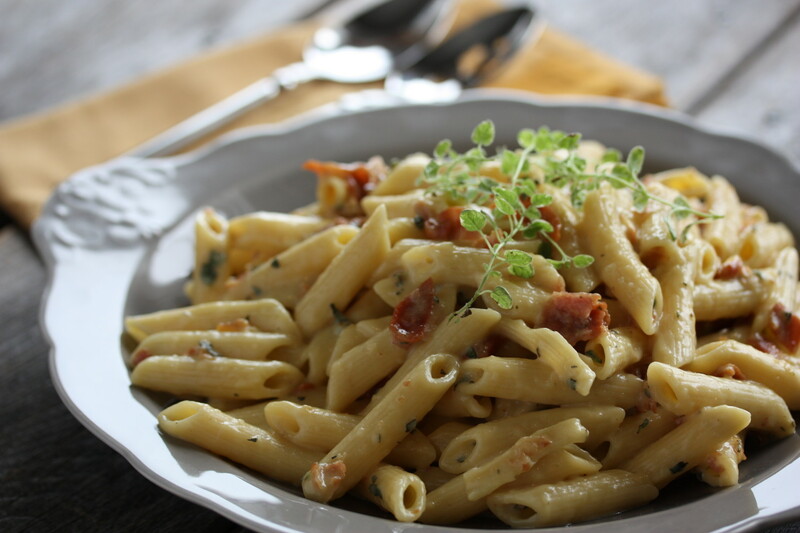 Return the cooked noodles to their cooking pot and toss in the cooked pancetta and prosciutto. Stir the egg yolk mixture into the hot noodles, allowing the heat of the freshly cooked pasta to immediately thicken the works into a rich sauce. Serve and share pronto! 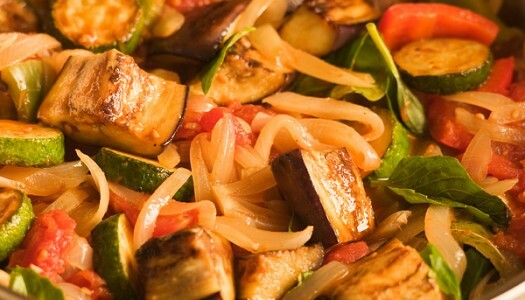 Ratatouille is one of the world’s great vegetable dishes. It’s a brightly flavoured rustic dish of stewed vegetables that traces its roots to the sunny south of France. It’s simple to make and simple to vary and usually includes tomatoes, onions, garlic, peppers, eggplant and zucchini slowly cooked together with olive oil. The thighs of a chicken are my favourite cut. They’re inexpensive and have way more flavour than the bland breast. 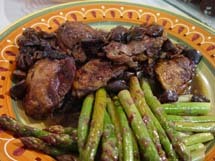 I usually braise them because it’s easy and they go with just about anything. I love the way they soak up the earthy flavours of the mushrooms in this dish.